Chucky is coming to TV. 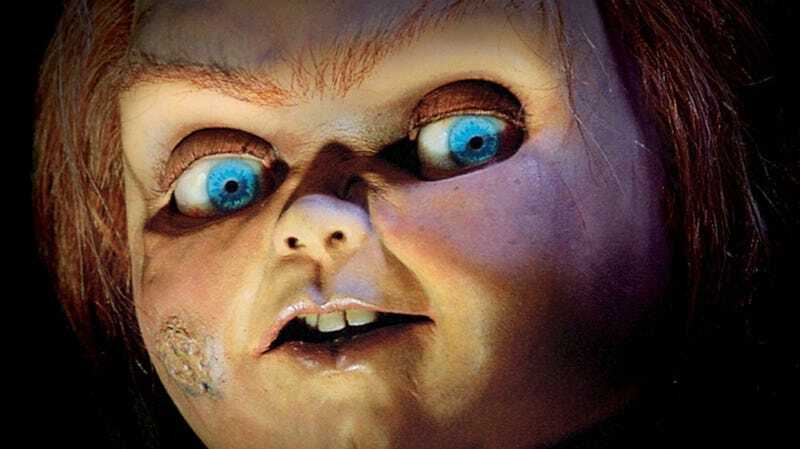 We already knew a new Child’s Play movie was coming to theaters this summer, and Syfy has just announced that it’s placed an order to have franchise creator Don Mancini make a Chucky television show, which may be called Chucky. This news was first teased by Mancini last summer but now is official. Mancini created Chucky and co-wrote the original 1988 film, Child’s Play. He then wrote all six sequels that followed, including directing the three most recent films, Seed, Curse, and Cult of Chucky. And that last one offers the only hints of what may be to come. Basically, though details are scarce, it seems like the Chucky TV show will be a continuation of the wild direction the franchise went at the movies, while the new movie will kind of reboot the entire idea for a new generation. On the show, Mancini will be joined by executive producers David Kirschner and Nick Antosca. “I worked with Don on Hannibal and on Channel Zero for Syfy, so developing Chucky with UCP really feels like coming home,” Antosca said in a statement. “Syfy is the perfect place to tell the next chapter in the Chucky saga and having the original creative team lead the project will help elevate the story we are excited to tell.